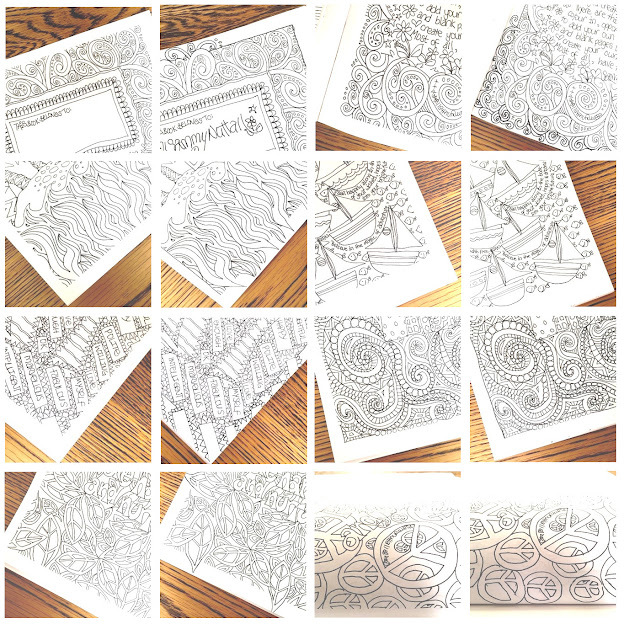 Many of you will have seen my facebook post about "My Colouring Book Journey". If not, you can read a copy of it here. As well as extra drawings, the finished product is a little different to my test versions, the final book has white space around each drawing. 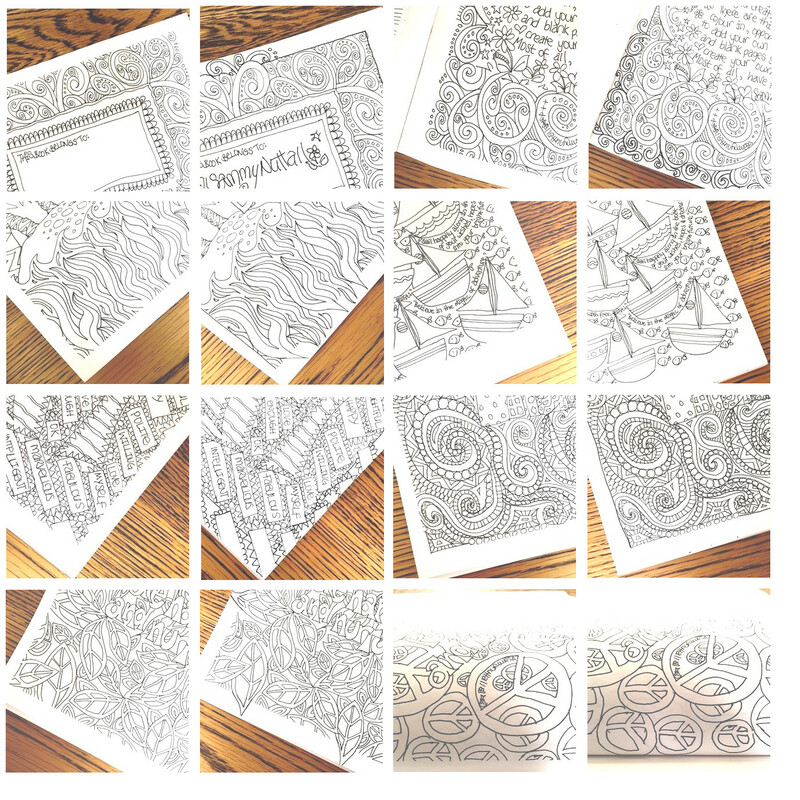 This allows for a bit more creativity, as prior to colouring in, you can choose to draw in a plain thin line border, a decorative border, continue the drawings and doodles to the edge of the page, or perhaps a combination of both. It's up to you! Everyone is different and I encourage each of you to explore you're own creative path. Some of the 'Colouring Angels' that assisted me with feedback mentioned that they found this amount of freedom a little challenging, but remember, there are no rules, other than to enjoy yourself. This is your journey. p.s. as always, I love your feedback. You're welcome to comment here or pop over to my facebook page for more.